The Random Chord Probability Problem Scratch project described in the February 30, 2014 post stated that the project was a warm up to Bertrand's famous Random Chord Paradox. The random chord problem was originally posed by Joseph Bertrand in his work, Calcul des probabilités (1888). Bertrand gave three arguments, all apparently valid, yet yielding three different results. Given a circle with an inscribed equilateral triangle. What is the probability that a randomly selected chord is longer than the side of the triangle? 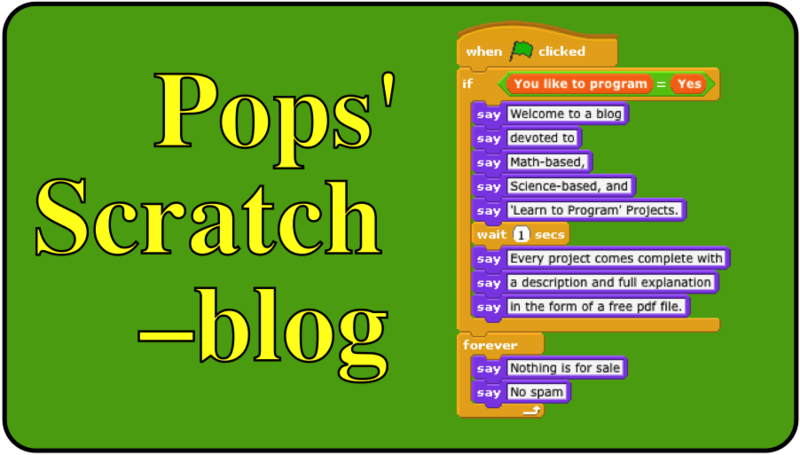 Click on the video to see the Scratch simulation of Paradox 1 using the random endpoints method. The code selecs two random points on the circumference of the circle, draws the chord connecting the points, and compares the length of the chord to the length of the side of the equilateral triangle. At the beginning of the video, the Picks slider is set to one to show how the random chord appears on the circle. The slider is then set to 1000 Picks and, after 1000 random chords have been picked, the Probability Chord > Side slider shows that the experimental probability (Monte Carlo) is 0.339. On can reasonably conjecture that the theoretical probability is 0.333… or 1/3. The Bertrand's Paradox 1 Scratch project can be viewed and downloaded at the following link. As usual, I have written a document, Bertrand's Random Chord Paradox 1 (PDF), that describes the code used in the project and also presents a theoretical solution to the problem. To receive a copy of this document, send an email request to grandadscience@gmail.com.